Here are some things you can know from what President Monson has said. Do the activity on page 41. Cut slits on the dotted lines; then cut out the strips, and weave them beneath the prophets’ pictures so the scriptures line up with the pictures. Look up the scriptures to find the prophets’ names. Write the names on the blank lines. 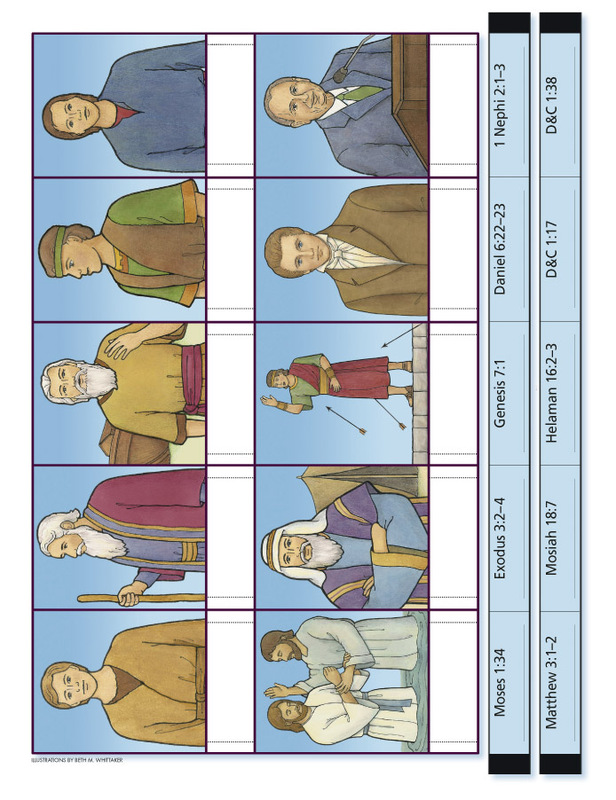 Look at the pictures of the prophets on page 41. Discuss with your family the teachings of these prophets. Thomas S. Monson, “Until We Meet Again,” Ensign, Nov. 2008, 106. Thomas S. Monson, “Looking Back and Moving Forward,” Ensign, May 2008, 90. Thomas S. Monson, Ensign, May 2008, 90. Thomas S. Monson, Ensign, Nov. 2008, 106.